Print off this month's coupon here. 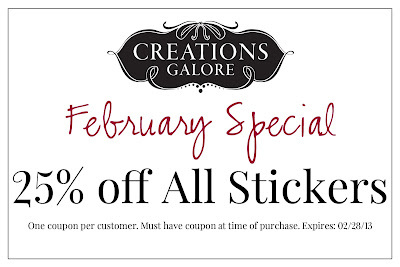 Bring it into Creations Galore during the month of February to take 25% off all stickers. Any size. Any style. Every Wednesday is a new chance to save! Visit Creations Galore to find out the special of the day. Specials range from 15% off your order to Buy one, get one free. 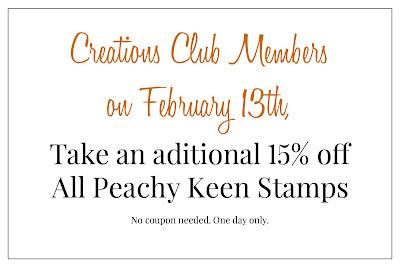 New for 2013, all Creations Club members can participate in an exclusive sale on the 13th of each month! 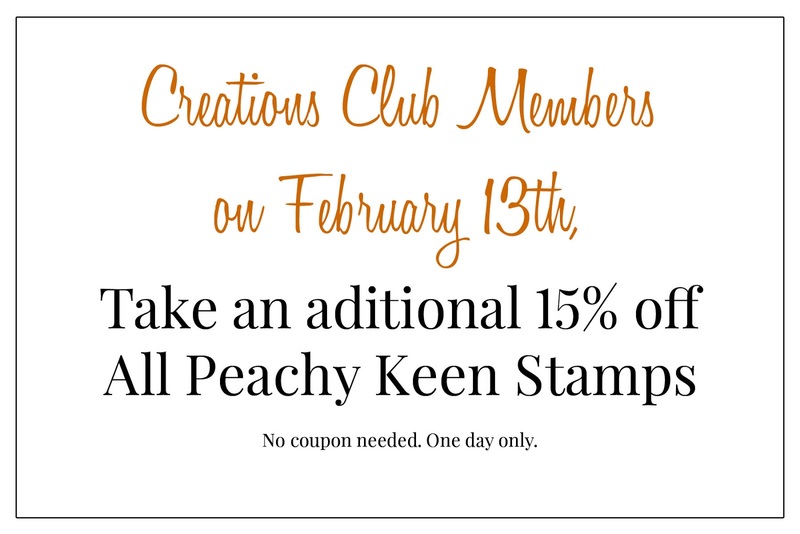 In February, Club Members can take 30% off all Peachy Keen Stamps. Woo Hoo. Now that's a good savings. Stop into Creations Galore today and ask to join the club!